Description: This statue represents the Vishnu Anantasayin. 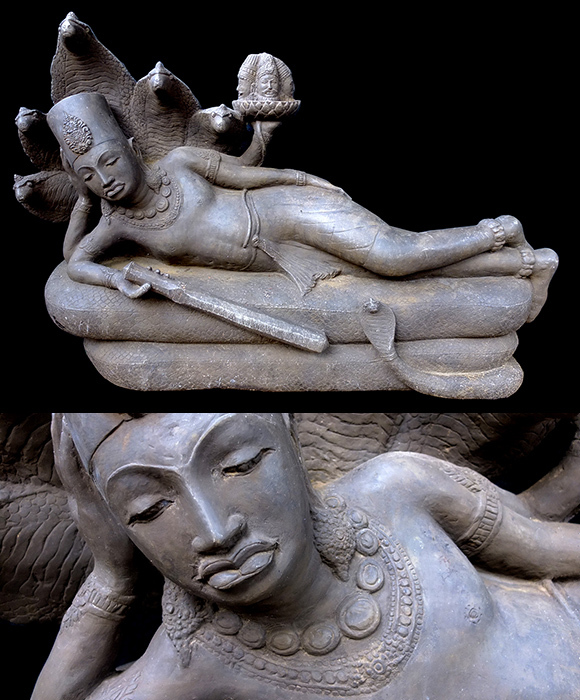 The god Vishnu reclines on the back of a five-headed Naga, which the serpent Naga associated with the realm of water, on which Vishnu is said to rest between cosmic eras. Above the god is a lotus stem with a lotus flower, for the Brahma to appear on the flower.